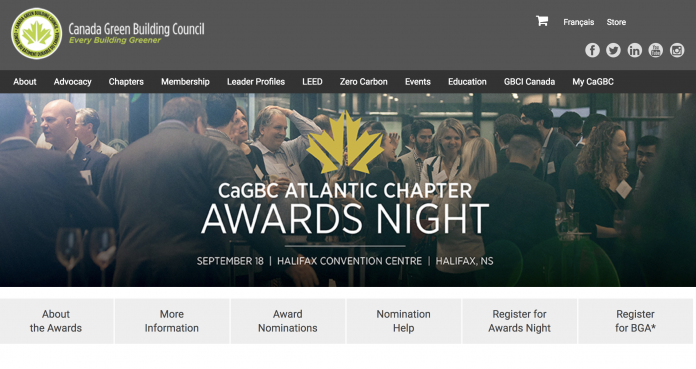 Atlantic Canada’s green building projects and innovators were in the spotlight at the Halifax Convention Centre last night, as the Canada Green Building Council (CaGBC) honoured the 2018 CaGBC Atlantic Chapter Leadership & Green Building Award recipients as a part of BuildGreen Atlantic, the 2018 CaGBC Atlantic Chapter Conference and Tradeshow. Acrow Bridge says it recently provided Club VTT Chaleur with a 45-meter steel bridge, installed as part of NIHILO SAPPER 2016, a large-scale military construction engineering exercise in Bathurst NB, from Nov. 1 to 22. The annual exercise gives both regular and reserve force members hands-on technical training to maintain a high level of readiness for future commitments either at home or abroad. 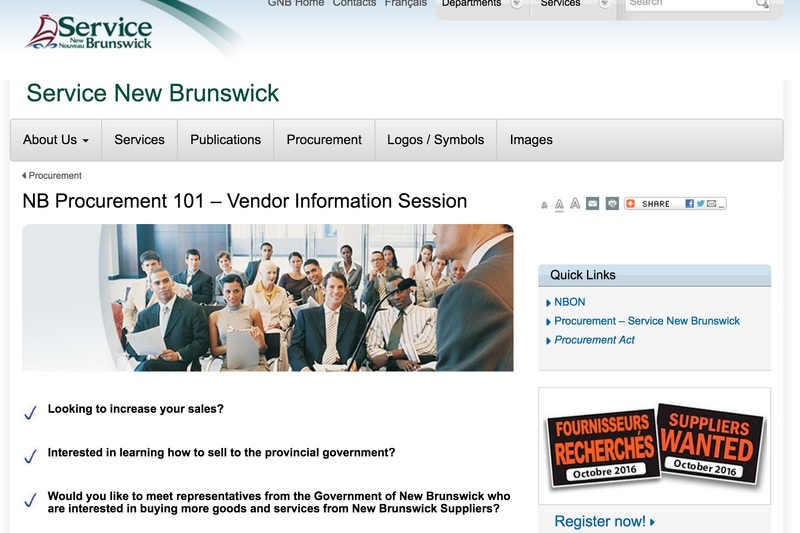 Businesses have been invited to a free vendor information session offered by the Strategic Procurement Division of the Service New Brunswick. “The session will inform you on what the Government of New Brunswick purchases, how to sell to them, bidding tips and an overview of the New Brunswick Opportunities Network (NBON). The sessions will be held between Oct. 13 to Oct. 20 at various locations around the province. For more information and to register for the free session please visit Procurement101. Work on the southwest Newfoundland portion of the Maritime Link will resume ‘immediately’ after one of the project’s main contractors was replaced due to ongoing financial troubles, says the company in charge of the project, CBC has reported. Emera announced in early August that it had replaced Abengoa S.A. with two other contractors, the Emera subsidiary Emera Utility Services and Rokstad Power, headquartered in B.C. “As quick as possible, you’ll start to see work on the ground, getting access roads ready as well as getting teams in place to actually do the work,” said Jeff Myrick, a spokesperson for Emera Newfoundland and Labrador. Myrick said while some site work has been ongoing in the area between Bottom Brook and Cape Ray by smaller contractors, the new companies involved means there could be new jobs available. “There’s still an opportunity for local people to have work opportunities,” he said. 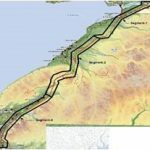 Abegonia’s original $197 million Maritime Link contract was originally awarded in March, 2015. However, the company filed for creditor protection that November, and has since failed to meet both payroll deadlines and project milestones, CBC reported. Image: Rockstad Power linesmen at the ENMAX Lineman Rodeo and Safety Expo in Calgary. 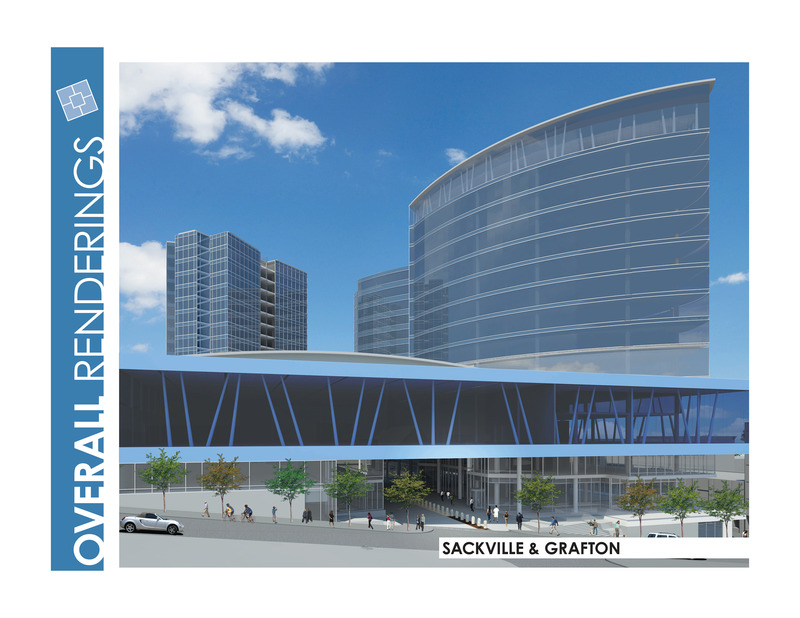 EllisDon’s Nova Centre jobsite will host the third stop of the Next Level Safety plan on May 17 with the signing of a renowned symbol of workplace safety, The Jersey of Courage. Industry leaders in workplace safety, along with EllisDon and MySafeWork, will gather to further demonstrate their continuous efforts to making safety paramount, amongst everything else in the workplace. This is the third stop on the nationwide tour, with Ottawa and Toronto being the first two stops respectively. Created by Rob Ellis, founder of MySafeWork, The Jersey of Courage is a mobile safety charter, used to engage employees and students in important issues surrounding workplace safety. With more than 500,000 signatures collected, each signature represents a commitment to making Canada the world’s safest place to work. With safety paramount to EllisDon, and Rob Ellis’ lifelong commitment to the cause, the collaboration was a natural fit. EllisDon has earned a safety record that consistently exceeds the industry average. Dartmouth, NS-based Tartan Interiors, Ltd. will represent Canada at the 10th Saint-Gobain Gypsum International Trophy Awards ceremony this June in Prague after winning top honors at the inaugural CertainTeed Gypsum Canada Trophy event in Vancouver. Hailed for creative use of CertainTeed Gypsum products in the construction of Halifax Central Library, the Nova Scotia finishing contractor is one of only three companies selected to represent North America in the international ceremony, CertainTeed said in a news release. Halifax Central Library is a five-storey, 11,000 sq. m. structure with several design features, including a skylighted atrium – criss-crossed by stairs and walkways – that spans the interior height of the structure and a rooftop terrace that offers a broad view of the city and its harbour. 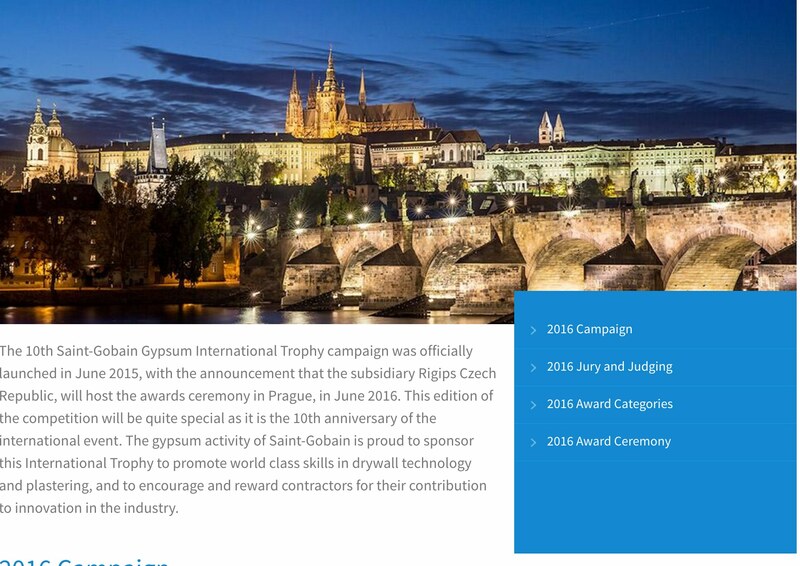 Awarded every two years, CertainTeed says the Saint-Gobain Gypsum International Trophy recognizes excellence in design, drywall installation and finishing. 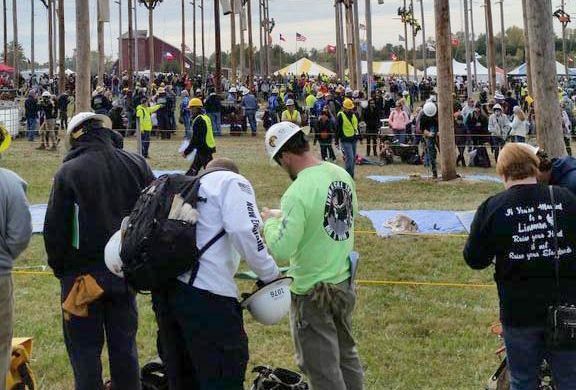 The competition judges building professionals for their gypsum-related skills in the following categories: Gypsum Board Craftsmanship and Design; Finishing Application; Innovation and Sustainability; Residential; Mixed Use – Commercial; and Hospitals, Hotels and Education. The 10th anniversary of the renowned event will be held in June in Prague, Czech Republic. 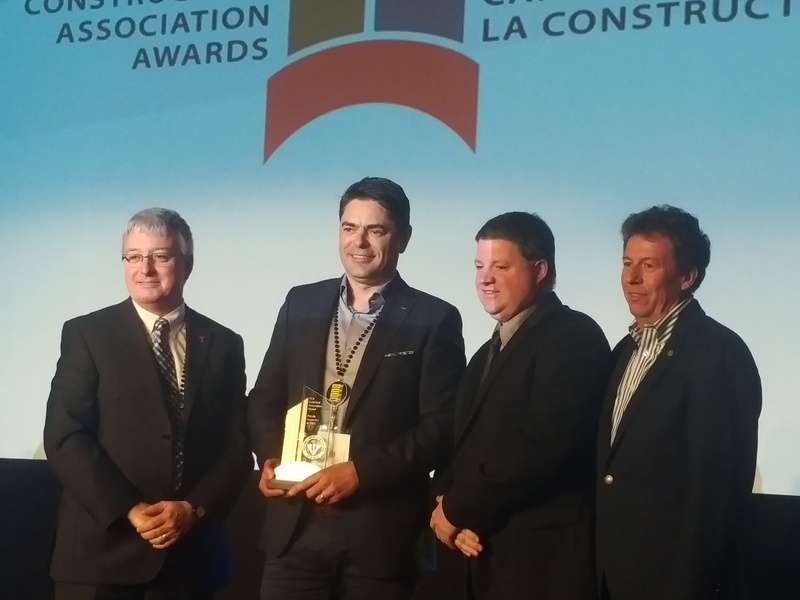 The Construction Association of Nova Scotia (CANS) received he Canadian Construction Association’s (CCA) Gold Seal Association Award in early March at CCA’s annual conference in New Orleans. Through a variety of communications channels, including Lunch and Learn sessions, CANS provides members with the benefits of Gold Seal Certification, the certification process, the paths to certification, and the process to apply for certification. CANS also works directly with individuals and organizations to develop customized training plans designed to help individuals become certified. To-date the construction industry in Nova Scotia has through CANS invested over $2.5 million in training and education. CANS has also assisted members pursuing their Gold Seal Certification in securing funding through the Department of Labour and Advanced Education and an initiative of the Canada-Nova Scotia Job Grant Workplace Innovation and Productivity Skills Incentive (WIPSI). To date CANS has helped member companies secure more than $400,000 in government funding for training. The CCA’s National Awards Program recognizes the important contributions of individuals, organizations and projects that promote and enhance the Canadian construction industry, whether through innovation, projects, or dedication to the industry. “On behalf of CANS, we’d like to extend huge thank you to all of those who have had a hand in making this happen and to our membership for their support and commitment to the enhancement of the construction industry,” he said. More information about the Canadian Construction Association’s National Awards Program can be found at http://cca-acc.com/en/about-cca/awards. CANS represents more than 760 large and small companies that build, renovate and restore non-residential buildings, roads, bridges and other engineering projects. 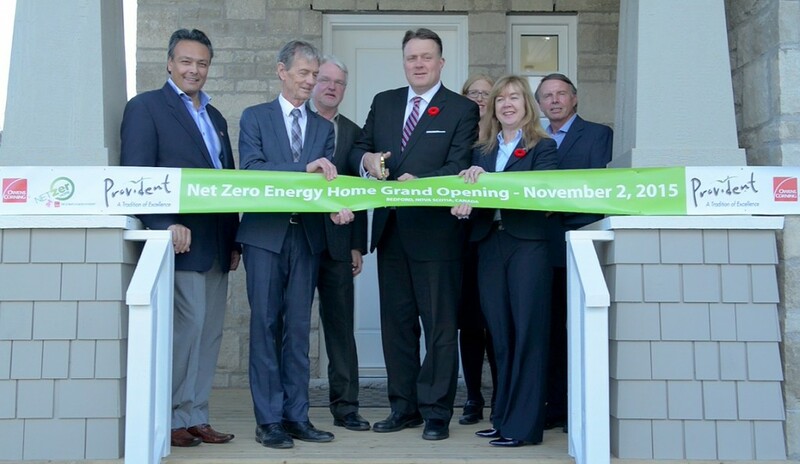 Provident Development hosted a ribbon-cutting ceremony Nov. 2 to celebrate the completion of the first of five homes built as part of a national project that will almost double the amount of Net Zero Energy homes in Canada. 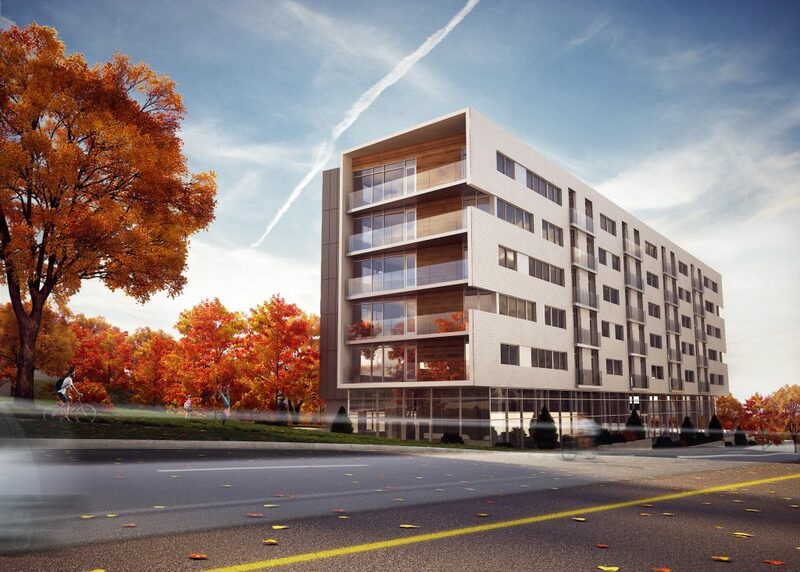 Provident is the only homebuilder from Atlantic Canada to be selected for this initiative. The Net Zero Energy Ready home at 70 Aspenhill Ct. in Bedford aims to demonstrate that these energy-efficient homes can be built using existing technologies and are accessible to the average homebuyer. More than $4 million in funding and in-kind contributions from the federal government, Owens Corning Canada and the building industry will allow for the construction of at least 25 Net Zero Energy homes in four provinces. Net Zero Energy homes generate as much energy as they consume, on an annual basis. Halifax Mayor Mike Savage was centre stage at the ribbon-cutting ceremony. Just prior to wielding the ceremonial scissors, Mayor Savage applauded the efforts of both Provident and the project.